Today, cationic polymers are indispensable formulation components in a broad range of technical applications. 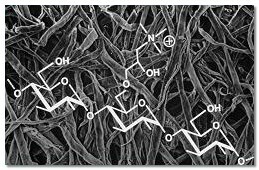 In particular, cationic starch ethers have become increasingly important in low-pollution paper production. Due to the ongoing change-over from acid to alkaline papermaking processes, the demand for cationic starches has risen dramatically. 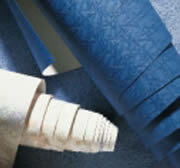 Increased use of recycled paper has further added to demand. Apart from this, new paper recycling techniques have led to the development of cationic starches with higher degrees of substitution. Cationically substituted compounds are gaining significance in other areas as well. Cationic compounds derived from natural or synthetic sources, for example, are today used as retention aids and flocculants.